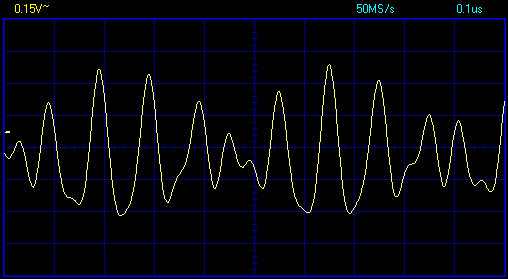 I had no money to buy this state-of-the-art DDS function generator that goes up to 20 MHz, to test my HF amplifier. 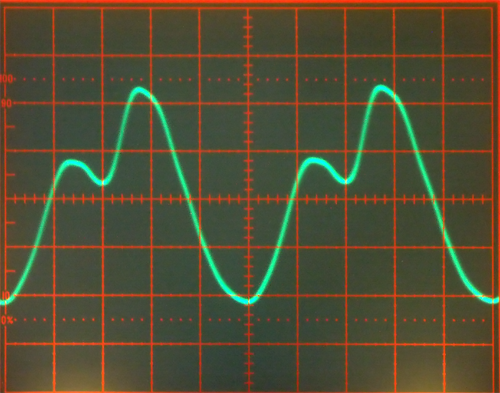 So, I bought a low cost medium frequency DDS function generator (Centrad GF265, up to 5 MHz) for low and medium frequencies experiments, and used a few simple discrete analog components to get a signal at 20 MHz. 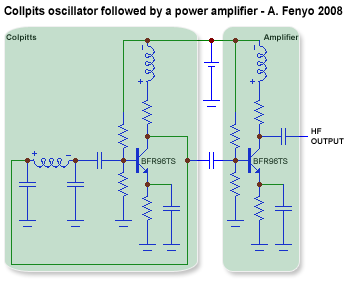 The board is made of two parts: a Colpitts oscillator followed by a power amplifier. 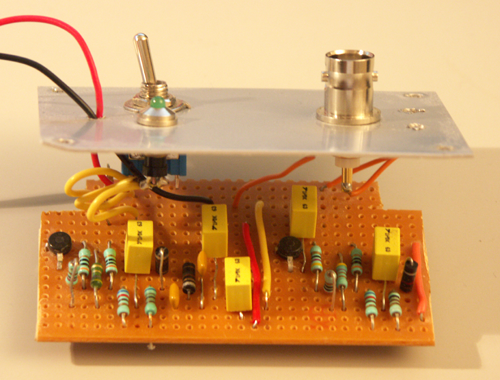 Each part needs a RF transistor, so I used two BFR96TS NPN RF transistors. As you can see on the following schematics, to get a signal at 20 MHz, I only needed 2 transitors, 7 capacitors, 3 coils and a few resistors. Now, let's use this 20MHz signal generator to compare my 21th century 2x25MHz PCS500 numeric oscilloscope and my new (but very old) Tektronix 465 2x100MHz analog one, that came out of the factory in 1975. 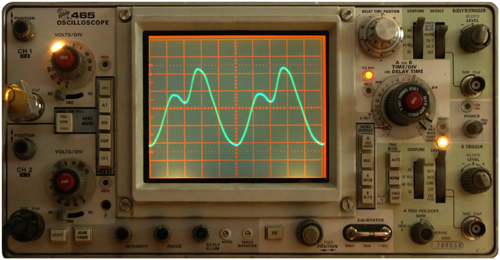 As you can see on the following picture, the 33 years old oscilloscope is very good, compared to the new one. 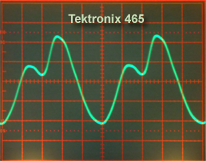 More over, the trigger of the Tektro was difficult to fine tune but it finally gave a very stable signal display. 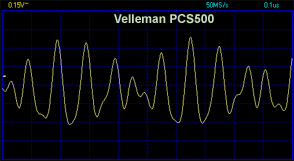 The trigger of the Velleman never gave a stable signal display.